Sandy (sometimes marly or mucky) shores, ditches, swales, and marshy ground generally; occasionally in fens. A few sterile specimens with very short beaks may be hybrids with C. viridula. MICHIGAN FLORA ONLINE. A. A. Reznicek, E. G. Voss, & B. S. Walters. February 2011. University of Michigan. Web. 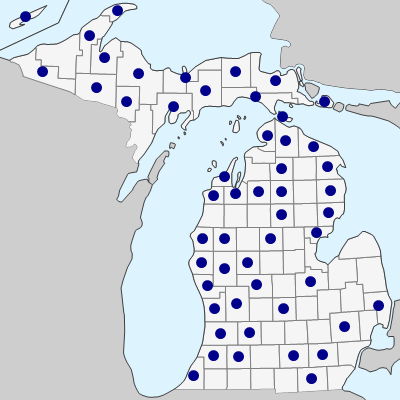 April 20, 2019. https://michiganflora.net/species.aspx?id=942.